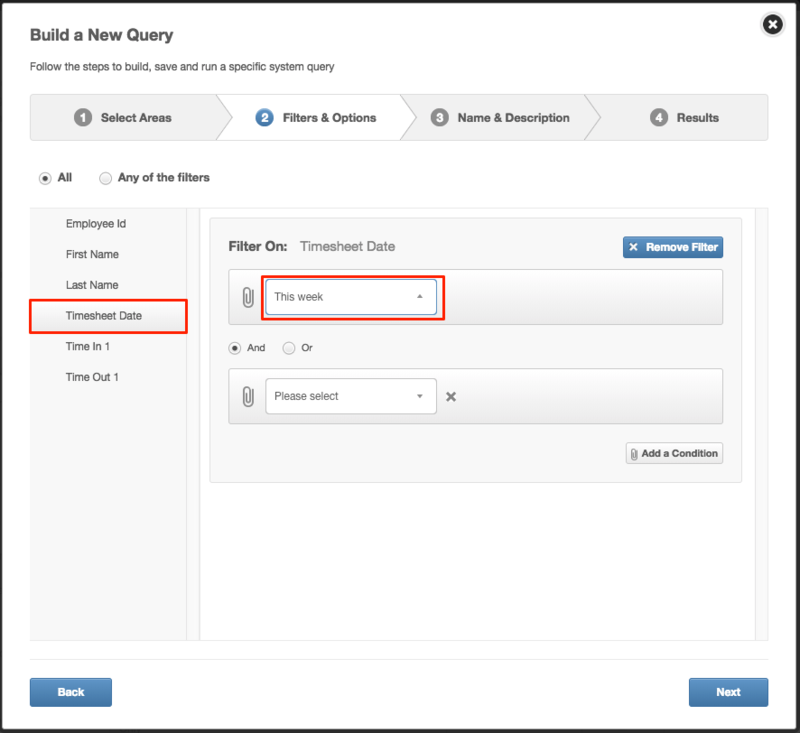 The query builder lets you extract information from the system into the form of a report, which you are then able to export into CSV format and also print from there. The focus of this article is how to build a timesheet report. 2. In the next three columns, scroll down to the timesheet information. 3. Select all information you wish to include in this query. 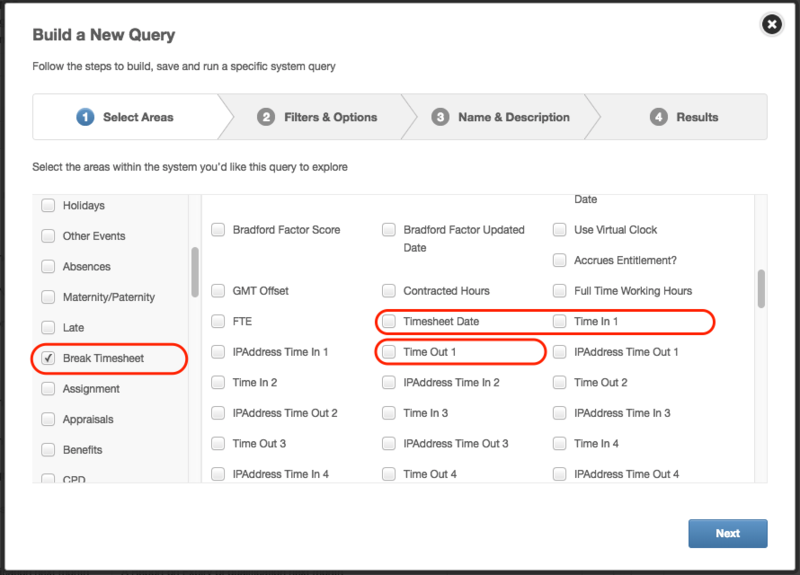 For the query to be most useful, you'll at least want to select the fields 'Timesheet Date', 'Time In 1' and 'Time Out 1'. If employees clock in and out more than once a day, you'll want to select more of the TimeIn/Time Out options. 6. Once you have chosen your filters (if any), click Next.